Nose Reshaping Who’s a candidate • Anyone who wishes they could have a slimmer, more defined nose • Anyone who wants a more prominent nose bridge • Anyone who wants the appearance of an enhanced nose bridge without the risk, downtime and cost of surgery • If you don’t have the money for a surgical nose job How does it work Dr. Tess is an artist when she sculpts and enhances the features of the face. She uses an FDA approved hyaluronic acid (HA) filler such as Juvederm to create the appearance of a surgically enhanced nose. The filler is soft and feels natural to touch. The beauty of a non-surgical nose job is you can easily choose to add more filler at a later time if you desire a “higher” nose bridge. How long does it last Results vary from person to person but Restylane and Juvederm are FDA approved to last up to 1 year. Most patients decide to have the injection repeated before the filler has fully absorbed. What are possible side effects and ways I can minimize them? Even in the most experienced hands, some downtime is possible with any filler injection. We offer the Auriderm Post-Injection Relief Kit to our patients to help minimize the possible swelling and bruising that can be associated with filler injections. For best results, you should begin using the kit 2 days before your procedure. To minimize your risk of bruising discontinue aspirin, ibuprofen, multivitamins, fish oil, St. John’s Wort and alcohol consumption 7 days prior to treatment. Does it hurt to get Fillers? • As can be expected, there is some discomfort with injections. However, we use with the best combination of numbing medication prior to injections in order to minimize discomfort. • In addition, Dr. Tess and all of our practitioners have been administering fillers for over 10 years, servicing thousands of patients. This expertise not only makes a big difference in your desired results, but also in the level of discomfort that you will experience during the injections. Are Fillers safe? • JUVEDERM XC AND VOLUMA XC injectable gel is made of Hyaluronic Acid (HA). HA is naturally occurring in our body and is a major component of skin and cartilage. HA injectable gel is the safest type of filler available on the market and has been FDA approved for years. 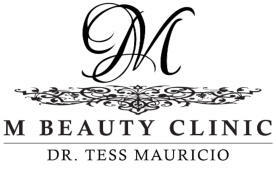 Dr. Tess only uses the safest fillers in her practice. Nose Reshaping Who’s a candidate • Anyone who wishes they could have a slimmer, more defined nose • Anyone who wants a more prominent nose bridge • Anyone who wants the appearance of an enhanced nose bridge without the risk, downtime and cost of surgery • If you don’t have the money for a surgical nose job How does it work Dr. Tess is an artist when she sculpts and enhances the features of the face. She uses an FDA approved hyaluronic acid (HA) filler such as Juvederm to create the appearance of a surgically enhanced nose. The filler is soft and feels natural to touch. The beauty of a non-surgical nose job is you can easily choose to add more filler at a later time if you desire a “higher” nose bridge. How long does it last Results vary from person to person but Restylane and Juvederm are FDA approved to last up to 1 year. Most patients decide to have the injection repeated before the filler has fully absorbed. What are possible side effects and ways I can minimize them? Even in the most experienced hands, some downtime is possible with any filler injection. We offer the Auriderm Post- Injection Relief Kit to our patients to help minimize the possible swelling and bruising that can be associated with filler injections. For best results, you should begin using the kit 2 days before your procedure. To minimize your risk of bruising discontinue aspirin, ibuprofen, multivitamins, fish oil, St. John’s Wort and alcohol consumption 7 days prior to treatment. Does it hurt to get Fillers? • As can be expected, there is some discomfort with injections. However, we use with the best combination of numbing medication prior to injections in order to minimize discomfort. • In addition, Dr. Tess and all of our practitioners have been administering fillers for over 10 years, servicing thousands of patients. This expertise not only makes a big difference in your desired results, but also in the level of discomfort that you will experience during the injections. Are Fillers safe? • JUVEDERM XC AND VOLUMA XC injectable gel is made of Hyaluronic Acid (HA). HA is naturally occurring in our body and is a major component of skin and cartilage. HA injectable gel is the safest type of filler available on the market and has been FDA approved for years. 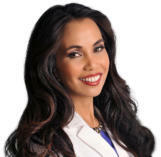 Dr. Tess only uses the safest fillers in her practice.